It's Copenhagen Design Week this week and, as one of the foremost design metropolises, Copenhagen is buzzing and busy. 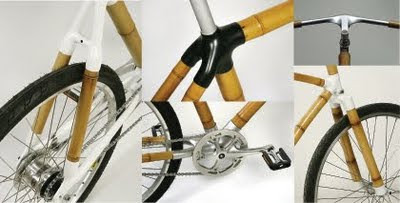 The bamboo bicycle, above is getting some press. Designed by Flavio Deslandes, it's a sustainble version of the preferred transport form in Copenhagen. The good people at Copenhagen X - 'Your Shortcut to an Evolving City' is their slogan - are putting on a bunch of activities, too. They're all about new architecture and urban planning development and they have a bunch of free guided tours this week of the architectural and urban planning hotspots in the city. On the UK version of their website they have suggested bicycle tours for visitors and locals alike. They're all around town this week, blogging and dicussing and hangin'. You simply cannot visit this city without checking out their website. 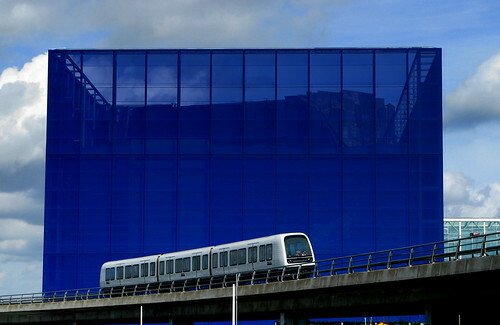 More of my photos of Danish architecture.